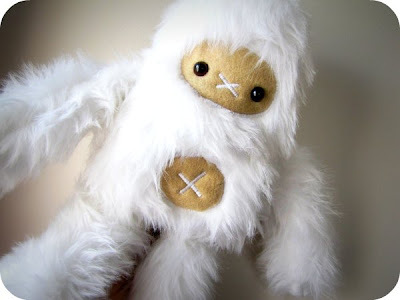 My husband is a bit of a Cryptozoology freak (proof here on his blog), so I decided to make him a super secret softie for his birthday. Little did I know how much of a drama this Yeti would be to make. I ran out of stuffing at the last minute and had to make a quick (but very secret) dash to the shops for more, constantly had trouble with the white fur going everywhere, broke my 3 last sewing machine needles and eventually had to hand sew him to finish it off. Amongst all that, I had a 'certain someone' knocking at my door asking what I was doing every 5 minutes. So, I was really happy and relieved when he was finished, and if I may say so myself, he is such a cute softie (just as well after putting me through all that torture)! Thankfully Symon loves him and even said he was his best birthday present ever! To see the Big Foot softie I eventually made him... go here! "Yet a" nother great creation. AWESOME!!! This has to be my favorite plushie by far! SO CUTE!!!!! You should do a whole "Legendary Creatures" series! 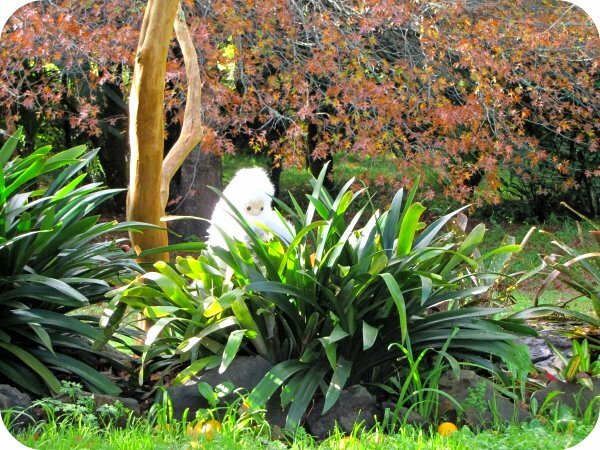 wow Kristy you are one very clever girl, a white yeti softie sure beats a pink teddy ( ah Boo) by far. Oh he is adawwwwwwable! 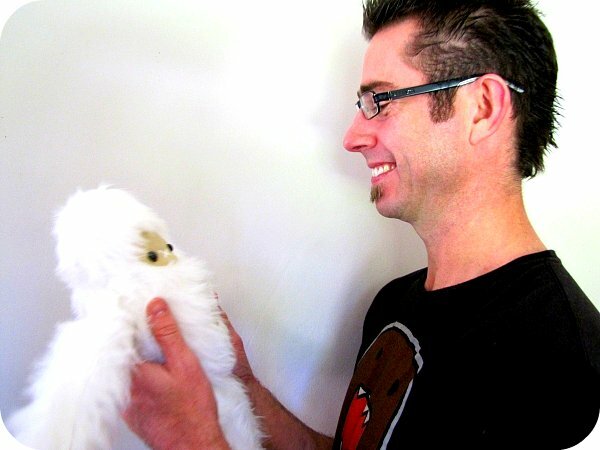 I'm not surprised Symon loved him...I could just give him a giant smooch and cuddle - the yeti not Symon...eek! That Yeti is beyond awesome. Great job! Yeti is so cute! So worth all the hard effort. 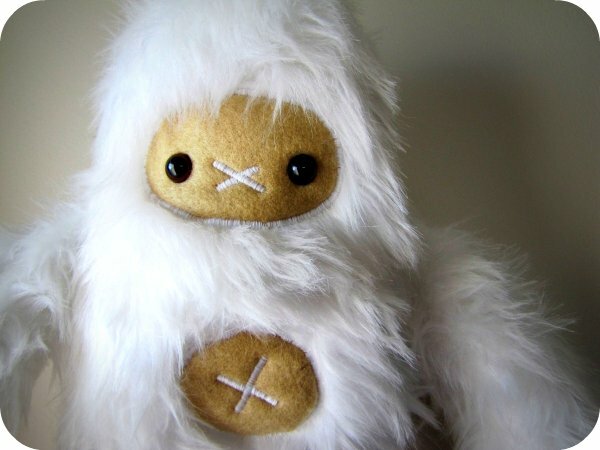 You rule at making super cute softies - makes me want to have one for these cold winter nights! Did anyone ever tell you that you are one of the most talented people I know (cyber know lol).. Love that cute lil softie!!!!! Oh man that is just too cute! Love it! Fab idea Kristy, that is so cool! I have worked with fur like that before and it is hard on the needles!! That is great!! Glad the MR loves him...how could he not. You're so clever and that is so cute!! That is so adorable! Of course it was his most favorite birthday gift ever!